but sometimes triangle quilts are anything but simple. First determine the size triangle you want to use....I am using a Fons and Porter triangle ruler. Begin on the left side of your strips, and placing the ruler so only half of the triangle is along the edge make a cut. This cut is just to get the angle for cutting more sets. I like to press the seams open. Once you have sets stitched an cut, it's time to piece them together in diagonal rows. I have found that piecing these in diagonal rows helps to keep the points nice and pointy. A single triangle will need to be added to the beginning and the end of each row. Once all your rows are stitched together, you will need to trim up the sides to make them straight. Hopefully, I will have a finished quilt to show you before long! Yippee! I was only thinking about your method when i saw the IG photo! Thanks for reminding me about it! I really need to make a triangle quilt! Yours is going to be very pretty, Mary! I haven't heard of that method before so thanks for sharing it. I love the mix of fabrics you are using! I hadn't heard of it either and plan on making a triangle quilt at some point, this is a clever way to piece it! I love seeing (and trying) a new technique. I am having a go at this. I was reading another blog last week and saw that they were cutting out individual triangles and then offsetting each point slightly before stitching, and I thought why don't they cut strips and sew them together and then cut, which is exactly what you have done :) so much quicker and less handling of bias edges. I tried this method almost 20 years ago at a workshop with Sharyn Craig. Thank you for refreshing my memory! Thanks for sharing this method. I too have wanted to make a triangle quilt. This is the best method I have read about. I will certainly give it a try. I've not seen this method before - how clever!! Must make me one of these quilts. Thank you for the tutorial. How clever is that!!! I've always fancied a triangle quilt, you're seriously making me ponder one now! Thank you for sharing. That is going to be such a nice quilt! What a great method! A triangle quilt is definitely on my to do list, I think you explain it very well...though I still need to get me some rulers! 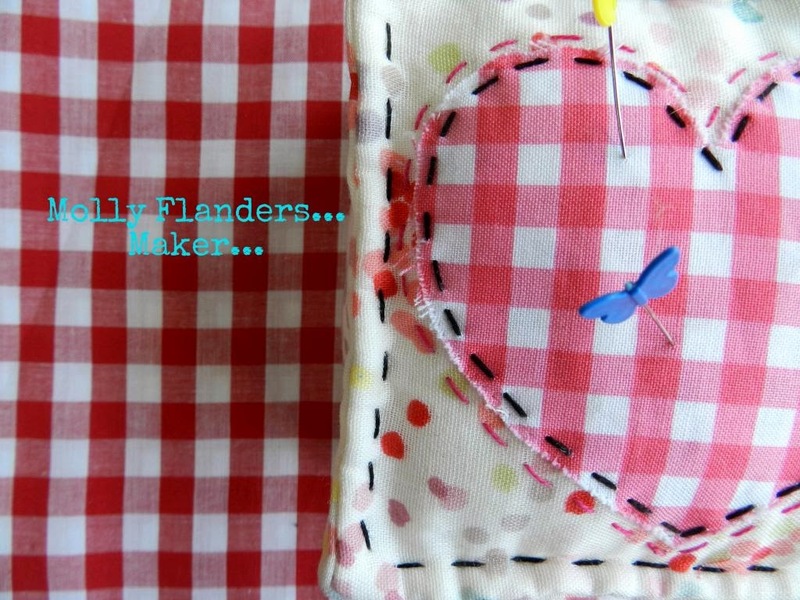 This is great, Mary, a tutorial the is useful to Getting A Quilt Done. i'm filling this away for future use! Interesting! I never have seen this method either. I just finished a triangle quilt and pieced it in horizontal rows. Most of the points turned out nicely but I'd like to give this a try at some point! How clever! Thanks for sharing this method! I have a baby quilt in the near future and will have to give this a try! How did I miss this when you posted it a month ago? What a genius method...thanks for sharing it, Mary!